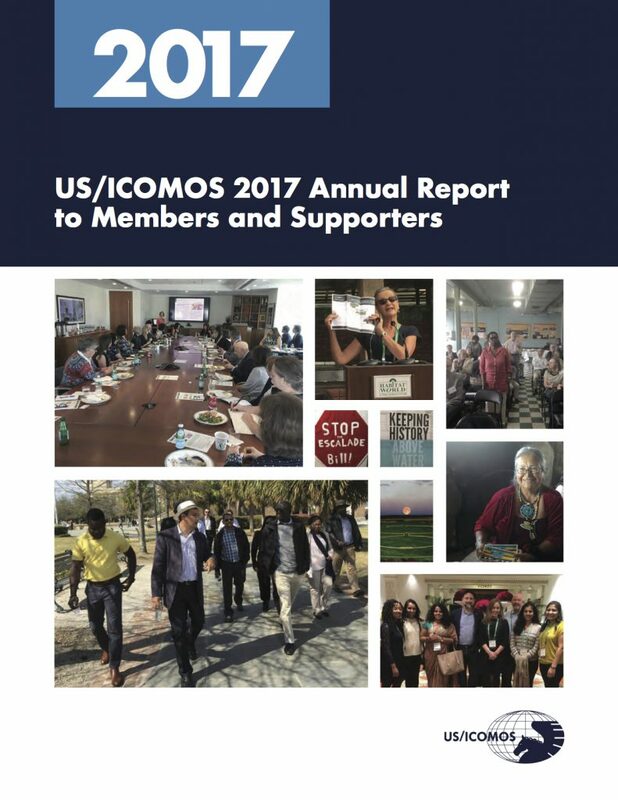 Just in time for World Heritage Day, US ICOMOS has released its annual report of accomplishments in 2017. US Engagement in the World Heritage ProgramThe critical need for continued, focused advocacy efforts by US/ICOMOS, in concert with its allied partner organizations, was a major theme of the November 2017 Leadership Forum. A draft resolution on the continued engagement of the US in the World Heritage Program resulted from the closing plenary, in light of the announced withdrawal of the US from UNESCO at the end of 2018. at resolution, as well as the findings of the Leadership Forum and proposed next steps for advocacy will be reviewed by the Board of Trustees in January 2018 and acted upon early in the new year.